The United States Secretary of State, John Kerry has said that his country will invest more than $600 million in Nigeria this year. He added, “Under President Buhari, Nigeria has been taking the fight to Boko Haram and it has reduced Boko Haram’s capacity to launch full-scale attacks. There was a previous fire in the market only five months ago. The Emir of Kano, Malam Muhammadu Sanusi II, called on the federal and state governments to investigate the causes of recent fires at Kano markets and schools. The emir is the former governor of the Central Bank who blew the whistle on the national petroleum company’s failure to remit revenue to the national Treasury during the administration of the previous president, Goodluck Jonathan. Kano’s Sabon Gari, the “foreigners’ quarter,” is often called the largest settlement of ‘non-indigenous’ people in northern Nigeria. Its population is made up of ethnic groups from all around the country, with the Igbo especially prominent. Most of the indigenous population of Kano is Hausa-Fulani, who are typically Muslim. Sabon Gari residents, on the other hand, are often Christian. The Sabon Gari is also known for its freewheeling atmosphere in otherwise observant Muslim Kano, with the ready availability of beer and prostitutes. Kano has been the site of ethnic and religious clashes in the past. Though not of late, Boko Haram has been active in Kano. Officials are saying that the fire is electrical in origin, and it spread rapidly because there was nobody in the market shortly after midnight. This is plausible. Market fires are common. Even this weekend, there was another large market fire in Birnin Kebbi, capital of Kebbi state. Senate President Bukola Saraki commented on March 27 that fires in markets around the country were negatively affecting gross domestic product. Nevertheless, there is speculation that the fire in Kano’s Sabon Gari market was the result of arson, and that it involved Boko Haram. Boko Haram has carried out big operations before around the principal Christian holidays, and the Sabon Gari market would be a tempting target. Arson could also have been perpetrated because of ethnic and religious hostilities. Thus far, no group has claimed responsibility for the fire. It is to be hoped that the federal and state authorities will respond positively to the emir’s call for a thorough investigation. Parents from Chibok community in Borno State have denied a girl held by Cameroonian authorities, after an aborted suicide bombing mission, is one of 219 missing female students abducted by Boko Haram in 2014. The girl had claimed she was one of the missing school girls, the Cameroonian government said. The Murtala Muhammed Foundation, involved in efforts to identify the girl, said in a statement on Wednesday that three authorised representatives of the community confirmed the girl was not one the school girls kidnapped on April 14, 2014. Read the group’s statement signed by Aisha Muhammed-Oyebode, its chief executive. “On Wednesday, March 30, three authorised representatives of the parents of the 219 missing Chibok girls arrived the Murtala Muhammed Foundation (MMF) offices from Chibok Local Government Area of Borno State to view photos of the girl claiming to be one of the 219 missing students kidnapped by Boko Haram. “Mr. Yakubu Nkeki, chairman, Lawan Zana secretary, Mrs. Yana Galang women leader of the Chibok Girls Movement, all of whose children are amongst the kidnapped 219 Chibok girls were upon their arrival shown photos of the girl who was arrested along with another woman on Friday March 25th carrying explosives in Limani, Cameroon. “A set of photographs had been sent to the MMF on the evening of Monday 28th of March by Garba Shehu, Special Assistant to the President on Media and Publicity. A more recent batch of photos, taken at 2pm on Tuesday 29th of March was sent to the MMF by Ambassador Hadiza Mustafa, Nigeria’s High Commissioner to Cameroon. “The earlier set of photos showed the girl partially clothed and squatting on the sandy floor within a low cement wall enclosure, which was surrounded by soldiers and some civilians. In that same batch, the woman was being carried in the arms of a soldier, with her face swollen and plaster covering different parts of her body. She was also partially clothed. “In the more recent photos, however, the girl was fully clothed, standing against a wall and looking into the camera. The woman was also standing straight beside what appeared to be a hospital bed, she was fully-clothed. Her face still appeared slightly swollen with dressing on her forehead. “The Nigerian government by Tuesday afternoon had already informed the MMF that the girl has clearly identified herself as Maryam Alhaji Wakeel, 12 years old, originally from Maiduguri but abducted from Bama when the town was overrun by Boko Haram a year ago. The woman has identified herself as Aishatu Usman, a 35-year-old mother of two children. “However the identification process was still carried out to lay to rest any claims that the girl is one of the 219 girls kidnapped from their school in Chibok on April 14th 2014. Mr. Nkeki, Mallam Zana and Mrs. Galang have confirmed that the girl and the woman do not fit the description of any of the missing daughters from Chibok. “We have also made arrangements for other stakeholders to view the photos at the MMF office in Abuja as we are yet to ascertain how the girl came to describe herself as one of the missing Chibok girls. “The identity of the girl notwithstanding, the MMF has informed the Nigerian government of its willingness to continue to pursue the matter, and is willing to provide the captured girl and woman any support they may require. “These girls and women are merely victims, and must be treated as such by the society. They have already undergone grave violence at the hands of their Boko Haram captors. We must ensure that they are not made to undergo additional violence at the hands of their compatriots. The new increased electricity tariff rolled out on February 1 by the Nigerian Electricity Regulatory Commission, NERC, was illegally imposed on consumers, an icirnigeria.org investigation has shown. The agency implemented the new tariff, which increased charges for electricity consumption by 55 per cent to 65 per cent, in defiance of the law setting it up. The federal government may be compelled to pay back to Nigerians the increased rate they have paid to electricity supply since February 1 when the new tariff regime took effect. Specifically, the announcement of the new tariffs breached Section 76 sub sections 6, 7 and 9 of the Electric Power Sector Reform Act of 2005. Section 76 (6) requires the NERC to gazette any review of existing tariff methodology before it comes into effect. By that section, the regulatory agency ought not only to have given notice in a gazette but also in newspapers with wide circulation and even given room for the public to make comments and objections before the new charges could take effect. In Section 76 (7), the law further reinforces the need for wide consultations before such new tariffs can take effect. Furthermore, Section 76 (9) states: “If it appears to the Commission that a tariff methodology should be changed, the Commission shall give notice in the Official Gazette, and in one or more newspapers with wide circulation of the proposal to change the methodology, indicating the period within which representations in connection with the proposal may be made”. Of all these legal requirements, the only one fully complied with by NERC was that it announced the new tariff in the newspaper. It did not give any notice in a gazette as spelt out by the Act. Furthermore, from the outcry and opposition which the imposition of the new tariff generated among the general public, including the Transmission Company of Nigeria, TCN, Manufacturers’ Association of Nigeria, MAN, and the House of Representatives Committee on Power, which passed a resolution barring NERC from increasing tariff, it is obvious that the agency did not do enough consultations. The NERC announced the new tariff methodology in December, 2015 with increased charges for electricity consumption, although it removed a controversial monthly fixed charge on retail consumption. Announcing the new tariff, then chairman of NERC, Sam Amadi, said that the new Multi Year Tariff Order (MYTO) was for a 10-year period between January 1, 2015 and December 31, 2024. But it effectively took off on February 1, 2016. With the new tariff, consumers under the residential classification (R2) in Abuja would have to pay N24.30 per kwh instead of 14.70 per kwh for electricity, an increase of N9.60 or 65 per cent, although they would no longer pay the fixed charge of N702. Customers under Commercial classification (C1) had their tariff increased to N36.65 per kwh from N23.61 per kwh, a difference of N13.04 or 55 per cent. In the same vein, residential consumers are paying more in Eko (N10), Ikeja (N8), Kaduna (N11.05), Benin (N9.26) and other electricity distribution areas. Organised Labour kicked against the new tariff regime as soon as it was announced with the President of the Nigeria Labour Congress, Ayuba Wabba, saying it is a rip off. “Congress considers as illegal, unfair, unjustifiable and a further exploitation of the already exploited Nigerians, the 45 per cent increase in electricity,” the labour leader declared, threatening that workers would be called out on a nationwide protest to force a reversal. The Manufacturers Association of Nigeria, MAN, also rejected the new tariffs and said that it would fight it in court. MAN president, Peter Jacob, expressed surprise that NERC went ahead to introduce the new tariff, observing that there is a subsisting court injunction restraining the agency from imposing the tariffs. The icirnigeria.org learnt that a meeting called by NERC’s acting chairman, Anthony Akah, with the MAN management to explain the new tariffs, was rebuffed as members of the organisation insisted that they would not discuss a matter that is before the courts. When our reporter spoke to MAN’s director of communications, Israel Osadipe, last week Wednesday, he said that the association was still opposed to the tariff and had not changed its position because the case is in court. He added, however, that members of MAN were having discussions “at an informal level” with stakeholders, including NERC, about the matter. The House of Representative too stood stoutly in opposition against the new tariffs and passed a resolution directing NERC not to go ahead with the new charges until it concluded investigations into the activities of the commission and distribution companies, Discos. After the tariffs took effect, the House Committee on Power invited the NERC management to explain why its directives were flouted. It was gathered that the regulatory agency has since explained its stand to the legislative House, telling members that it was doing exactly what the National Assembly set it up to do. In defence of the NERC, a source told this website that the agency had, indeed done its work which is to send the new tariff regime to the office of the Attorney General and Minister of Justice whose responsibility it is to gazette the information. “NERC has done its bit. When the need for a review exits, we consult with all stakeholders and then come up with new tariffs. We then send the tariff to the Ministry of Justice for them to gazette. We did that since the early in the year,” the source, who does not want to be named, said. However, the Director of Press in the office Ministry of Justice, Charles Nwodo, said that the impression given by the NERC source was wrong and that it is not the responsibility of the ministry to gazette anything for government agencies. “The fact is that if they are going to gaztte it (the new tariffs), it is the government press that will gazette it. It is the responsibility of the Government Press. The Ministry of Justice is to give approval. The process is that they send their proposal, it is vetted by the Ministry of Justice and sent back to them for onward transmission to the Government Press. It is the Federal Government Press that will gazette it. Asked if the ministry had received the new tariffs from the NERC for approval before being sent to the Government Press for vetting, Nwodo said he was not aware that any tariffs sent to the ministry for approval. He asked for time to find out if the ministry ever received such a request from the electricity regulatory agency but had not done so until the time of going to press. The Nigerian government is restricting the movement of cattle in the north east. The explosion of a crude oil pipeline operated by Eni's wholly owned subsidiary Nigeria Agip Oil Company (NAOC) in Bayelsa has killed three people and injured seven. The blast is believed to have occurred during repair work on the oil pipeline in Nigeria's southern Delta region. Bodies were recovered after the fire was brought under control. Those dead were maintenance workers who were working on the oil pipeline when it caught fire. National Oil Spill Detection and Response Agency director general Peter Idabor told media sources the accident occurred as safety procedures had been breached, while carrying out repair works. Idabor said: "I am going to report the matter officially to the minister of environment today." The news follows attacks on the Nigerian Agip Oil Company's crude oil pipelines in Bayelsa by suspected militants in February. The attacks were made after an arrest warrant was issued in January against former militant leader Government Ekpemupolo, also known as Tompolo. The Nigerian Army on Tuesday said its officer kidnapped on Sunday has been killed by his abductors. “The Nigerian Army wishes to regrettably inform the public that Colonel Samaila Inusa, who was kidnapped on Sunday 27th March 2016, was found dead today at about 6.00pm,” spokesperson for the Army, Sani Usman, said in a statement. “Preliminary investigation revealed that most likely the late senior officer was killed same day he was kidnapped by his abductors. This is because the body was found already decomposing around Ajyaita village off Eastern Bypass Kaduna, Kaduna State. “Arrangements are in progress to move the body to 44 Nigerian Army Reference Hospital, Kaduna. May His soul rest in peace, Amen." Mr. Inusa, a colonel, was seized in his Mercedes-Benz car by gunmen around Kamazo, along Kaduna Refinery Road, in Chikun local government area of Kaduna State on Sunday. On Sunday, the Army offered a N500,000 reward for anyone with useful information that could lead to the rescue of Mr. Inusa. The following day, army authorities raised the reward offer to one million naira, promising to give adequate protection to anyone who provide useful information, and that such tip-off would be treated with utmost confidentiality. There were reports in Thisday newspaper on Sunday quoting an intelligence officer as saying the abduction of the officer might be a revenge mission by the Shiite Islamic sect against the Army over the deadly clash with the group in Zaria last year. But the group swiftly responded, denying responsibility for the abduction of the Colonel. Mr. Musa added, “We wish to categorically state here that the Islamic Movement in Nigeria under the leadership of His Eminence, Sheikh Ibraheem Zakzaky has never, is not and will never engage in any form of crime to meet any of its objectives. Crime and criminal activities are fundamentally sinful and are not in our character. 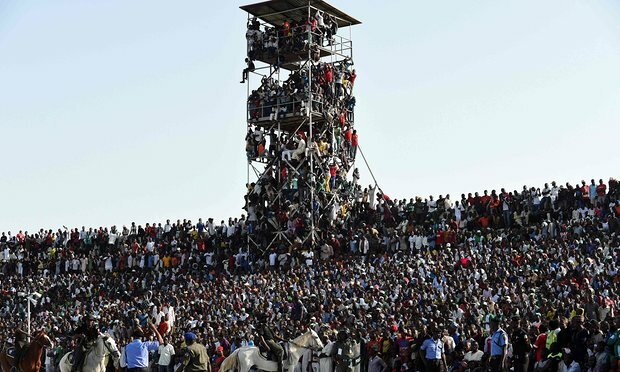 A major disaster was avoided on Friday as an estimated 40,000 supporters packed into the Ahmadu Bello Stadium in Kaduna to watch Nigeria’s 1-1 draw with Egypt. Listed as a 16,000 capacity venue, the stadium in the north west of the country was subject to a heavy military presence after a pitch invasion marred the last international there in June. But a decision by the Kaduna State government to open the gates to fans to attend the crucial 2017 Africa Cup of Nations qualifier for free created a frenzied atmosphere. Hours before kick-off supporters started arriving, with some scaling fences to find their way in. Some were even pictured clambering up floodlight scaffolding to gain a vantage point. “I felt the game was not going to take place because I thought the number of people on the pitch side was going to cause encroachment,” Rotimi Akindele, a reporter for Beat FM, told Goal.com. In the end the match passed without major incident off the pitch, although Nigeria’s captain, John Obi Mikel, accused Egypt’s players of “cheating” after Mohamed Salah’s late equaliser kept the Pharaohs on top of Group G.
Oghenekaro Etebo had put the Super Eagles in front on the hour and looked like claiming a crucial win as the match entered the dying minutes. But with Godfrey Oboabona having limped off injured, Egypt’s players refused to kick the ball out and Salah was able to score after being played in by Ramadan Sobhy. “I think we played very well but we lost a lot of chances that we created that could have fetched us total victory in today’s match against Egypt,” Mikel said. “Everybody is saying we lost the game in the last three minutes but all I can say is that fair play is fair play, it doesn’t matter, fair play is fair play. 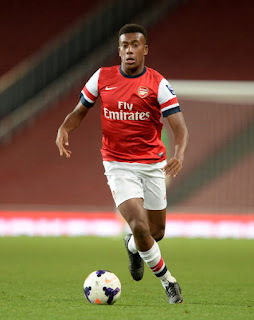 The Arsenal youngster Alex Iwobi was brought on as a late substitute by the Nigeria coach, Samson Siasia – an appearance that means he can no longer represent England on the international stage. Elsewhere there were victories for Tunisia, Mali and Ivory Coast over Togo, Equatorial Guinea and Sudan respectively, while Leicester’s Riyad Mahrez started for Algeria as they thrashed Ethiopia 7-1 in Blida. The Nigerian government is sending parents from the Chibok community of northeast Nigeria to neighbouring Cameroon to verify whether a suspected female suicide bomber is one of the schoolgirls abducted by Boko Haram nearly two years ago. Garba Shehu, spokesperson for Nigerian President Muhammadu Buhari, said the Nigerian High Commissioner in Cameroon, Hadiza Mustapha, has been in contact with Cameroonian authorities who have shown a willingness to assist the Nigerian government. The abduction of about 270 school girls by Islamic militants from a school in Chibok on 14 April 2014, sparked international outrage and a campaign #bringbackourgirls. While about 50 of the girls managed to escape, 219 of these girls remain missing. "We hope that the Chibok parents will be able to identify the girl and determine whether she is indeed one of their missing students," Shehu told the Thomson Reuters Foundation in a telephone interview in Abuja on Saturday. Shehu said the government was keen to ascertain the girl's identity so she can be brought back to Nigeria and possibly assist the government in investigations regarding the fate and whereabouts of the other missing Chibok girls. He said the two parents from Chibok selected to embark on the trip to Cameroon are Yakubu Nkeki, chairman of the Chibok Abducted Girls Movement, and Yana Galang, the group's women leader, whose 16-year-old daughter Rifkatu is among the missing. "If it is true, we are very happy about it. If we see her with our eyes, we will know where our girls are," Galang told the Thomson Reuters Foundation. Shehu said the two girls will be brought by the Cameroonian government to Douala, the country's largest city, on Monday for further checks into their identities. Chief of Army Staff, Lt Gen Tukur Buratai has said that the army has a housing scheme for its officers and men, including those fighting Boko Haram war in the North-East zone of Nigeria. He assured that as soon as those soldiers disengage from service, they will occupy their own houses. Lt Gen Buratai who said this in Enugu while answering questions from journalists during his one-day familiarization tour of the 82 Division of Nigerian Army, Enugu said that beside their various insurance entitlements, the soldiers are also entitled to loan from the federal government loan board through the Federal Mortgage Bank of Nigeria (FMBN). "So that as soon as they are retiring, they will be occupying their own houses," he emphasized. He said, "Also, in the army, we have quite a number of housing projects which the Post-Housing Development Directorate of the army is working on; officers and soldiers subscribe to such schemes where they will choose anywhere they want to settle after retirement to get houses built for them. A growing technology company, Uber on Wednesday added Abuja to the list of smart transportation hubs in Africa where riders are conveniently connected to drivers in real time at the touch of a button on the Uber app that will be configured on a smart phone. This happened at the launch of the innovative service that took place at the Transcorp Hilton where the Nigerian federal capital became the 400th city to be added across the globe about 18 months after the same service was launched in Lagos. 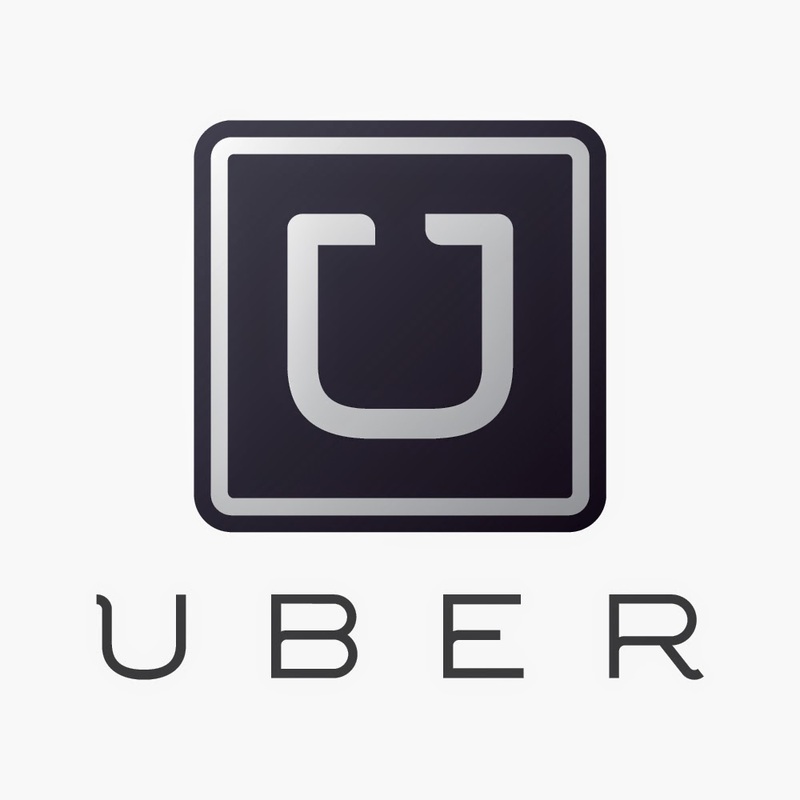 Speaking at the event, the General Manager for Uber Lagos, Ebi Atawodi said: “We’re really excited to be launching Uber in Abuja. Uber gives the people of Abuja an affordable, easy and flexible choice to move around the city safely and reliably. In response to a steep surge in inflation in January, Nigeria's Central Bank raised the policy rate to 12% from 11%. It also tweaked other elements of monetary policy, by increasing the Cash Reserve Ratio, to 22.5% from 20%. The decision comes just four months after the Monetary Policy Committee slashed the CRR to inject liquidity into the system. The expected outcomes, however, have not materialized. 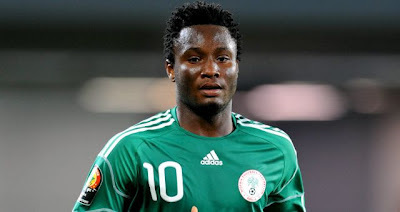 Chelsea midfielder John Obi Mikel has been appointed Nigeria captain by coach Samson Siasia. Mikel, 28, replaces CSKA Moscow winger Ahmed Musa and Siasia informed both players about his decision on Wednesday night, telling ESPN FC that he decided to hand the armband to the team's longest serving player. "Mikel is the oldest serving player in the team and it is the right thing for him to have the armband," Musa told ESPN FC. "This is just to correct what was done in the past. "The most important thing for us right now is to concentrate on the two games in front of us and make sure that we beat Egypt and qualify for the [African] Nations Cup." Nigeria's government will pump 1.76 billion dollars into the economy over the next quarter to rekindle the economy hard hit by a slump in oil revenues. Crude oil accounts for the bulk of Nigeria's revenue hurting Africa's largest economy since prices started dropping in June 2012. Parliament has already passed the country's budget for 2016, calling for record spending. Finance Minister, Kemi Adeosun and Minister of Planning, Udoma Udo Udoma, say the fresh money would be spent mostly on capital projects and job creation. OPEC member Nigeria expects oil producers to agree a supply freeze at a meeting in Doha next month which should stabilize crude prices even if Iran does not join, its petroleum minister said on Wednesday. Qatar has invited OPEC members and major non-OPEC producers to meet on April 17 to agree a freeze following an initial deal in February between Saudi Arabia, Qatar, Venezuela and non-OPEC member Russia to hold supply at January levels. "I expect that we will reach a conclusion on stabilization, stabilize current production as of January," Emmanuel Ibe Kachikwu told Reuters in an interview in Abuja. It was not clear whether all 13 OPEC members including Iran would attend the Doha meeting, though Iranian officials have made it clear Tehran will not freeze output as it wants to raise exports following the lifting of Western sanctions. But Kachikwu said Iran's impact was limited anyway as the country would take time to ramp up production. "We are likely to see Iran not signing on," he said. "But we have all decided that if they don't we will proceed because we do not believe that currently their entry into the market will create too much of a threat for the next year," he said. "So basically price stability is our expectation," he said, referring to the impact of a Doha deal. Nigeria, which is the top oil producer in Africa, has been at the front of pushing for a production freeze as a slump in oil prices has whacked its public finances and sparked the worst economic crisis for decades. Kachikwu said Nigeria's current oil output was 2.2 million barrels a day and he planned to boost it to 2.5 million barrels but this would not add to the global crude supply glut. "Whatever the extra (it) won't be in the market but go for our refining," he said. The West African nation has been trying to kick start production at its four outdated refineries due to limited fuel imports and to end widespread petrol shortages. Nigeria has been battling a long bout of fuel scarcity with long lines at petrol stations now the norm. The situation has lasted for about a month now. And despite ramping up supply, the scarcity has simply refused to go away. Arsenal midfielder Alex Iwobi has been forced out of training with Nigeria after suffering from food poisoning, Nigeria coach Samson Siasia has confirmed. Iwobi, 19, was struck down after eating a salad with the rest of the squad at the training base in Abuja. "He suffered from food poisoning and so was not part of the training," Siasia told a news conference. "But his condition is stable." Iwobi has played two friendlies for Nigeria, having come through the youth ranks with England, and was expected to make his first competitive appearance for the country of his birth in an African Nations Cup qualifier against Egypt on Friday. That would have meant Iwobi's international allegiance was pledged to Nigeria, with reports on Monday that England had tried to get the player to commit to them. Iwobi linked up with Nigeria after scoring on his first Premier League start for the Gunners on Saturday, in a 2-0 victory at Everton. England's Football Association is making a last minute bid to stop Arsenal wonder kid Alex Iwobi committing his international future to Nigeria's Super eagles. The Nigeria-born youngster reported to the Super Eagles camp in Abuja yesterday, ahead of a crucial African Cup of Nations qualifiers with Egypt. Nigeria's state-owned oil company has failed to pay the government $25bn (£17.5bn) over five years, the nation's fiscal commission has said. It includes $15bn that the nation's auditor general last week said the Nigerian National Petroleum Corporation (NNPC) failed to pay in 2014 alone. Oil revenue accounts for roughly two-thirds of the government's funding. President Muhammadu Buhari has promised to crack down on corruption since coming to office last May. In a statement, the Revenue Mobilization Allocation and Fiscal Commission (RMAFC), an independent body, said: "Records at the Commission's disposal indicate that between January 2011 and December 2015, the total indebtedness of NNPC to the Federation Account was 4.9 trillion naira." Under the current set-up, the NNPC hands over its oil revenue and money is then paid back based on a budget approved by parliament. The state oil giant has been mired in corruption allegations and losing money for many years. Last month, the government announced that the NNPC would be broken up into seven different companies. A separate audit ordered under former President Goodluck Jonathan and carried out by global accountancy firm PwC, found that the NNPC had failed to pay the government $1.48bn between January 2012 and July 2013. Nigeria is Africa's biggest oil producer, but the economy has suffered because of the recent decline in the price of oil. Indications have emerged that the ban on exportation of beans produce to the European Union countries, EU, imposed on Nigeria by the European Food Safety Authority, will be lifted by June this year. The development came weekend following the visit of a EU / Dutch team to the Central Laboratory of the National Agency for Food Drug Administration and Control, NAFDAC, in Lagos. The team was in the country to inspect the procedures of the regulatory agency to ensure that future export of beans and other agricultural produce from Nigeria meet the standards of importing countries. The European Food Safety Authority had in mid-2015 banned some agricultural produce which included beans from Nigeria, citing that the rejected beans were found to contain between 0.03mg per kilogramme to 4.6mg/kg of dichlorvos pesticide, when the acceptable maximum residue limit is 0.01mg/kg. Speaking during the visit, the Acting Director General, NAFDAC, Mrs. Yetunde Oni noted that the ban has no doubt resulted in a huge economic loss to Nigeria; although she insisted that the beans which resulted in the ban were smuggled out of the country and did not pass through her agency. “The ban was placed about a year ago due to high insecticide residue in beans but let me sound a note of caution here that the beans that were rejected never passed through NAFDAC, they were beans produce smuggled out of the country. She reiterated that agricultural produce that passes through the agency never gets rejected because of the rigorous process it goes through before certification. The fuel crisis has worsened in Nigeria as importers struggle to get dollars. Oil-rich country's main cities are facing acute gasoline shortages as importers feel the pinch of a plummeting local currency. The Minister of Sports, Solomon Dalung, has confirmed that the Nigerian Sports Commission (NSC), formed in 1971 as think-tank for the growth of sports in Nigeria was henceforth dissolved or simply merged with the Ministry of Sports. The major gap in the dissolution of boards or committees in Nigeria is that it is sometimes done because of political or sectional interests and not to enhance the efficiency of the body. In the beginning, the NSC was formed to “develop Sports Sector to a World Class Level, while “providing improvement in the quality of life for the entire citizenry”. If we grade the establishment based on the above founding target, then by all means and purposes, the agency should be scrapped! Mr. Dalung said, “Sports is a veritable tool for national development, it is a determinant in foreign policy and a determinant in tourism therefore should be properly harnessed to project the country in good light”. From the above statement, it must mean that the NSC was not performing the task for which it was set up. Sadiq Abdullahi, a former Davis Cup player for Nigeria, said Mr. Dalung had finally done what should have been done years before. “For me, this is a welcome decision that is long overdue. It is a decision that may well put Nigeria back on the right path to glory. “Dalung seems to suggest that he has found the political will, courage and determination to finally do what is right for sports. “In order for ten people to have an amazing prowess, you have to have one hundred practicing intensely and one thousand just participating in the sport culture,” Pierre de Coubertin, the founder of the modern Olympic Games said. “In order to sell millions of T-shirts and basketball shoes, you have to have tens of millions of people playing sports and attributing to it a positive image,” could be added by today’s sporting good industry,” added Professor Jean-Loup Chappelet of the IDHEAP Swiss Graduate School of Public Administration. What has happened in Nigeria is that we have not been able to get ‘one thousand just participating in the sport’ from which we would be able to pick a credible 10. The NSC failed to provide the environment to have these ‘1000’ participate in competition against themselves thereby limiting the pool from which likely elite athletes could be discovered and groomed. With the dissolution, the sports ministry must “be structured and organized to meet global best practices and best standards,” Mr. Abdullahi added. “The organizational structure must be consistent with the private organizational structure if a business model is intended. “To restore hope and confidence, the ministry would have to modify its institutional structure and operational processes in order to prevent corruption and fraud. A word surely should be enough for those who want to give sports a lift in Nigeria. In Nigeria a contradiction has now emerged about the status of the war status of the war against the Boko Haram. Commander of the U.S. Africa Command says Boko Haram still control a significant territory in north eastern Nigeria. His comments sharply contradict Nigeria's president Muhammadu Buhari declaration earlier this year that the terrorists no longer control of any territory. An Irish bishop in Nigeria named St. Patrick, who is said to have died on March 17 in the year 461, as the country's patron in 1961, the same year Ireland opened its embassy in Lagos. The Irish actually have a long history in the country: Irish nationalist Roger Casement — executed in Dublin in 1916 for his role in the Irish rebels' Easter Rising — served as a British consular officer in Calabar, in southeastern Nigeria, during the 1890s. Casement's interest in and sympathy for Africans under colonial rule was unusual for a European in the Victorian era, and likely helped shape his views on social justice. The difficult patch that Nigeria, the largest economy in Africa, is going through does not seem to be abating. According to a new Nielsen report (pdf) which provides a ranking of business prospects for leading markets in Sub Saharan Africa, Nigeria is no longer the top investor destination on the continent. In its place, Cote d’Ivoire has risen to the top of the rankings. Buoyed by a fast growing economy and a lengthy period of political stability highlighted by successful elections last year, Cote d’Ivoire is now regarded as a prime destination for investment in Africa. Although, that status could now be affected following a recent attack by Al Qaeda in the Islamic Mahgreb (AQIM). Having been ranked as the top investor destination at the start of 2015, Nigeria has now fallen to fourth on the rankings. The ominous slide fits the narrative of Nigeria’s slowing economic growth amid a global slump in commodity prices. Oil in particular, Nigeria’s main export and revenue source, has been badly hit. According to the research firm, Nigeria’s slide was “driven primarily by deteriorating macro-economic indicators”. It also adds that “consumer indicators and overall confidence levels” have also dipped. A recent Capital Importation report (pdf) by the Nigeria Bureau of Statistics confirms this. Last year, Nigeria’s recorded total inflow of capital into the economy stood at $9.6 billion —a 53% drop from the previous year and the lowest recorded total since 2011. While incidental economic factors have largely contributed to Nigeria’s floundering economy, the country’s government has also come in for criticism for not managing the crisis effectively. President Buhari’s handling of the economy has been questioned with the Central Bank of Nigeria instituting strict monetary controls in response to commodity prices and a currency slide. These controls, which inevitably strained citizens and hardly had the desired effect, have been described as unorthodox. As Buhari closes in on his first year in office, many Nigerians will be hoping that in his second year, the focus will be on triggering an economic rebound in Africa’s biggest economy following slowed growth. Nigeria's Senate has been condemned for rejecting a proposed bill aimed at eliminating "all forms of discrimination" against women. Rights activists say the bill would promote women's equality in marriage, inheritance and education. But some lawmakers voiced opposition, saying the Gender and Equal Opportunity Bill is not compatible with Nigerian culture and religious beliefs. Others said the constitution already recognises the rights of everyone. In Islam, women get half of men's share in inheritance and it is unacceptable for anyone to change that, a Muslim senator told the BBC. One Christian lawmaker also quoted some sections of the bible to condemn the bill. But the Senate's decision to throw out the bill has been widely condemned. Human rights activist Bukky Shonibare says it was a sad day for Nigerian women. "It shows how backward we are and how much we want to hold on to our lopsided religious and cultural beliefs," she told the BBC's Focus on Africa radio programme. It is unfortunate that some men who see the emancipation of women as a threat are the ones being trusted with making laws and order, she added. "Every Senator that voted against the bill should hide in shame," said prominent actress Uche Jombo. Some activists have started circulating a petition urging the Senators to reconsider. Nigerian President Muhammadu Buhari is back in Nigeria after a two day tour of Malabo, the capital of Equatorial Guinea. Together with host President Obiang Nguema Mbasogo, the leaders discussed piracy along the Atlantic ocean and oil theft among other issues. The National Drug Law Enforcement Agency (NDLEA) has arrested four Mexicans for allegedly running a crystal meth production laboratory on an "industrial" scale. The anti-drug agency said it had uncovered the lab producing the banned stimulant, disrupting what it said was "a major drug trafficking organization". Four Nigerians believed to be joint owners of the lab were also arrested with the Mexicans, who were said to be production experts hired as "technical partners". The laboratory, found in Asaba, was "similar to the ones found in Mexico" and the first to be discovered in Nigeria, the NDLEA said. It produced between 3,000 and 4,000 kilograms of the drug per production cycle. The agency described the output as "an industrial scale". During the raid in Asaba, agents recovered 1.5 kilograms of finished methamphetamine and 750 litres of liquid methamphetamine. The NDLEA, set up to fight drug trafficking, said recently that Nigeria has graduated from being a transit point for smuggling to a drug-production and consuming nation. "We are set now to prosecute the four Mexican suspects arrested over running a super methamphetamine production laboratory," NDLEA spokesman Ofoyeju Mitchell disclosed on Tuesday. "The delay in taking them to court was caused by the inability to get Spanish interpreters on time. "The suspects, arrested last week, claimed they did not understand English. We now have interpreters and we are ready." Mitchell did not disclose a precise date for the prosecution but said it would be "very soon". Children as young as eight are being paid teaching salaries by the state as part of identity fraud in the north-eastern Nigerian state of Bauchi, officials have found. The scam, which involves drawing the salaries of non-existent civil servants, is widespread, a BBC correspondent in Nigeria says. But the government has recently been cracking down, removing thousands of "ghost workers" from its payroll. Nigeria is Africa's biggest economy. It is the continent's top oil producer, but its economy is currently under huge strain due to the recent collapse in oil prices. The state has been able to save millions of dollars as a result of an ongoing verification of its workforce, the auditor general for Bauchi said. Abubakar Gabi said that thousands of workers and pensioners did not appear for an exercise aimed at rooting out ghost workers and claimants. Two female suicide bombers have attacked a mosque in the north-eastern Nigerian city of Maiduguri, killing 22 worshippers, the army says. Maiduguri is the birthplace of Islamist group Boko Haram's insurgency which has killed 20,000 people since 2009. "We were just a few metres away from the mosque when a loud bang erupted and all we could see was dark smoke and bodies littered around,'' another witness told Associated Press news agency. "My hearing was affected by the blast. I can't hear well at the moment," he added. A statement from Nigeria's army says all the wounded have been taken to a hospital in a nearby town. Last year, a regional military offensive helped drive out Boko Haram from most of the areas it had seized in north-eastern Nigeria. However, the group, which is linked to the so-called Islamic State, has continued to carry out suicide attacks in northern Nigeria and neighbouring Cameroon. Nigeria's former top military Chief is struggling to meet a tough bail condition granted him last week. A federal judge last week ordered Alex Badeh to be remanded in prison custody until he is able to meet a 10 million dollar bail bond before he can regain temporary freedom. 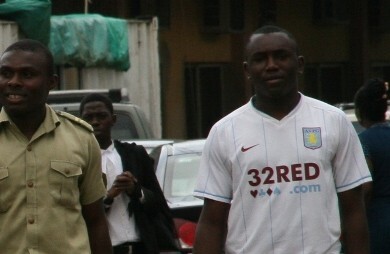 He is standing trial for allegedly stealing around 20 million dollars while he was head of the Nigerian military. Badeh is only one of several senior serving and former military officers being accused of diverting money meant for the purchase of arms to fight Boko haram. Proof that the Nff did not pay Oliseh Sunday before he resigned. Nigeria's state-owned oil company has failed to pay the government $16bn (£11bn) in a suspected fraud, according to an official audit. Oil revenue accounts for two-thirds of the government's funding. The NNPC has not commented on the auditor general's findings. Nigeria's former central bank governor Lamido Sanusi, now the Emir of Kano, was dismissed by the previous administration after saying that $20bn (£12bn) in oil revenue had gone missing in 2013. It did not provide a total figure for how much revenue the NNPC should legally have handed over to the treasury. However, the company said that it could not vouch for the integrity of the information it was given when it conducted the audit. Nigeria is Africa's biggest oil producer, but the economy has suffered because of the fall in the price of oil. Nigerians will soon be facing higher electricity costs as providers say it's the only way to improve power supply. But consumers do not agree. Many say access to power should improve, before prices go up. The relationship between two of Africa's largest economies South Africa and Nigeria seems to be on a new path of recovery. South Africa's President Jacob Zuma's two-day state visit to Nigeria this week has seen a raft of agreements signed to boost diplomatic and economic ties between the two countries. The Federal Government has warned that it will deal ruthlessly with those engaged in pipeline vandalism and the sabotage of power infrastructure that have combined to drastically reduce power generation/transmission as well as fuel supplies in recent times, thus inflicting untold hardship on Nigerians. In a statement issued in Abuja on Sunday, the Minister of Information and Culture, Lai Mohammed, said the repeated attacks on oil and gas pipelines and the wilful shutdown of power facilities by protesters amount to economic sabotage which no government will tolerate. ”Vandals, whatever their motives are, cannot and will not be treated with kid gloves because their actions constitute a clear and present danger to the nation’s economic, social and political well being. The attack on the Forcados Export Terminal that has affected gas production by oil firms and reduced gas supply to power generating plants and the shutdown of the Utorogu gas plant are totally condemnable and cannot be allowed to continue. ”Also, while this Administration will not do anything to abridge the constitutional rights of any individual or group to carry out protests, it will also not tolerate a situation in which anyone will hide under the guise of legitimate protests to sabotage power infrastructure. The shutdown of the national transmission facility in Osogbo and the Ikeja Disco by some unionists amount to economic sabotage,” he said. Mr. Mohammed said the government is not unaware that as it steps up the fight against corruption, corruption will vigorously fight back in many forms, including the destruction/sabotage of key national infrastructure to make the government look bad. ”However, nothing will make this government to slow down in its anti-corruption fight and no one who is corrupt will be spared,” he assured. ”When oil and gas facilities are vandalized, the impact is felt directly by Nigerians. When power infrastructure is sabotaged for whatever reasons, Nigerians bear the brunt. While those actions may be aimed at discrediting the government, those who pay the price are the vast majority of innocent, law-abiding and well-meaning Nigerians, not just the vandals or the saboteurs. 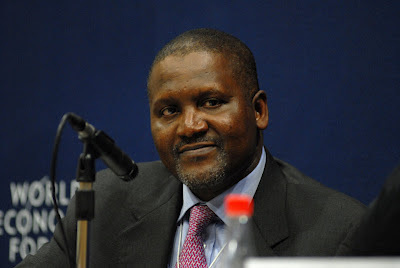 This is why Nigerians must not allow the few recreants behind these attacks to hold sway,” he said. Mr. Mohammed said the power situation is gradually improving as generation has now increased to around 4,000MW while the Minister of State for Petroleum Resources, Ibe Kachikwu, has assured that the prevailing fuel queues will gradually ease in the next few days. In what might be perceived as a welcomed development, China has said that it would need more crude oil from Nigeria. NAN reports that Zao LingXiang who is the economic and commercial counsellor of the Chinese embassy in Nigeria made this declaration in Abuja. In 2015, the total amount of crude oil export to China was only about one million barrels which was just 1.3 per cent of Nigerian annual export. He said: “In my opinion, it really doesn’t matter whether Iran comes back or not; Chinese companies want to import more crude oil from Nigeria.” He explained that current trade volume between Nigeria and China was $14.94 billion in 2014, making Nigeria third largest trade partner of China in Africa. The economic counsellor added that Nigeria’s trade figure was 8.3 per cent of China’s total trade volume with Africa and 42 per cent of the total trade volume between China and Africa. “China is the largest developing country in the world and Nigeria is the largest developing country in Africa and both countries have complementary advantages in natural and human resources, funds and markets." LinXiang said that in the area of infrastructure, the two countries had made significant development. He said that President Muhammadu Buhari is expected to visit China in April and that this visit would facilitate the implementation of agreements reached at the 2015 China-African summit which took place in South Africa. The economic counselor explained that the total investment volume between China and Africa exceeded $100 billion in 2015 in spite of the decline in imports from Africa. “The amount in import from Africa to China declined but did not decline remarkably." “Moreover, the economic and trade cooperation between China and Africa is not only about trade but technical cooperation as well." “China’s total investment volume in Africa last year increased by 100 times more in a short span of 10 years, which shows that cooperation between both parties is moving to a new level,” he said. Oil prices rose close to $40 per barrel on March 7. The reduction in the output of US production increased the North American WTI crude benchmark. Brent crude which is the benchmark in the pricing of Nigerian oil increased by nearly 0.76 percent and reached some of the highest levels since early January and standing at $39.48 per barrel.